A fully responsive Free HTML5 Splash Screen Template. Demo pages include Single image, Colored Background, Video Background & Slider Image Background. On the next demo of this free HTML5 splash screen template, you get a squeeze page with beautiful background sliding image. Slick slider is used to make this page up. Afterwards, our lunchpage also have a video background enabled demo. Any video from Youtube or Vimeo will work here. In addition, you can add your self-hosted video too. Just a quick note, the buttons located near the bottom of each page are only for navigation purposes while viewing each of the demo pages. You might want to get rid of them if you feel so. 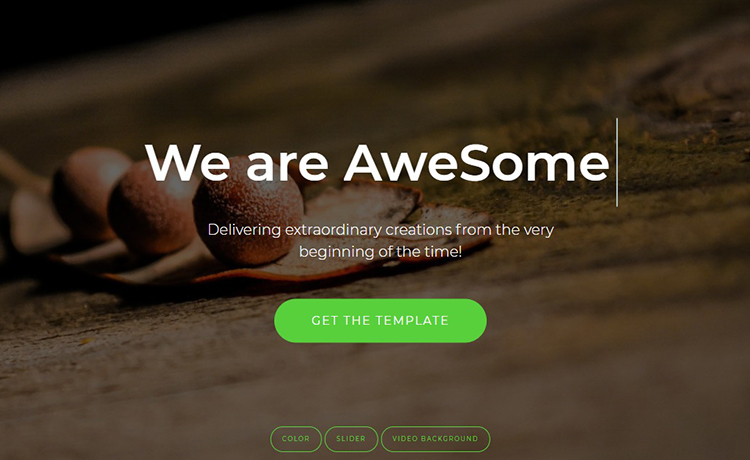 You may also like our collection of landing page templates. We have both free & premium HTML5 Templates to offer. The design aspect is highly admirable . COMO FAZER DOWNLOAD DESSE MODELO? ?